Love that this holds so much but takes so little space! 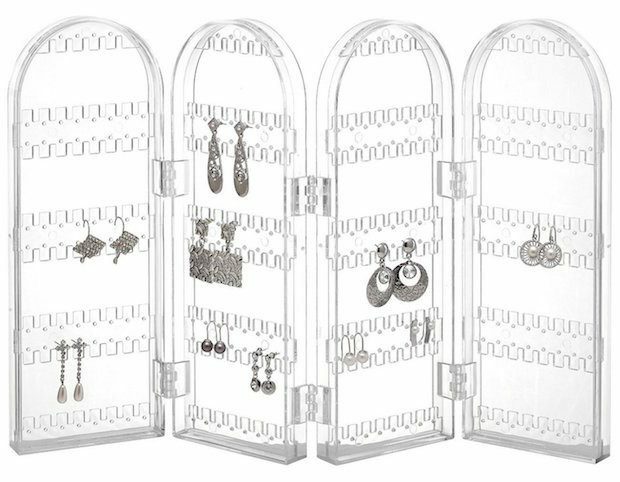 Head to Amazon to pickup the Foldable Acrylic Earring Screen Holds Up To 130 Pairs Only $6.99! (Reg. 19!) Get FREE shipping on orders of $49+ or if you have Prime! Holds up to 130 pairs of earrings.